Commercial fishermen Nicholas Taron and Sam Synstelien were out on the Pacific Ocean one day when they saw a shocking sight. The two fishermen saw a humpback whale completely tangled in a net. 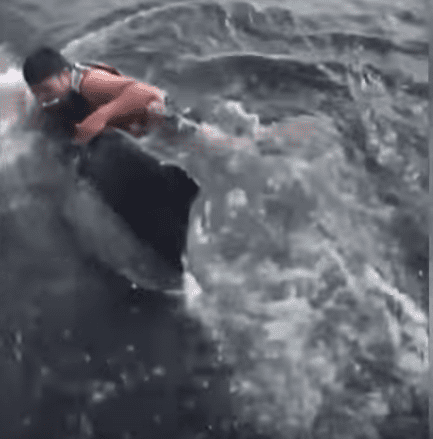 The whale couldn’t get out on his own, and he badly needed help. While Nicholas filmed, Sam jumped into the frigid water and attempted to save the whale. 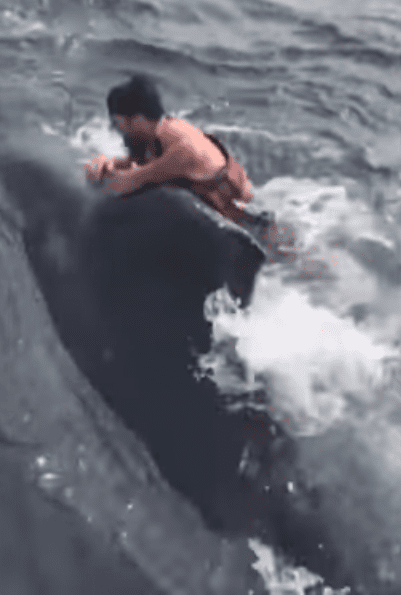 This was extremely dangerous—the whale’s tail weighed 40 pounds, and if it hit Sam, it could kill him. But Sam was determined to save the whale, even if it was dangerous. Sam wasn’t able to free the whale the first or second time he jumped into the water. Nicholas posted a video of these rescue attempts to his Instagram page. Sam was determined to help the whale, and so even though it was freezing, he jumped in a third time. This time, Sam was able to successfully climb onto the whale’s back. He removed the tangled net from around the whale, working as fast as he could. The whale stayed still—it seemed like he knew Sam was trying to help him. “Did you get it?” Nicholas asked Sam. 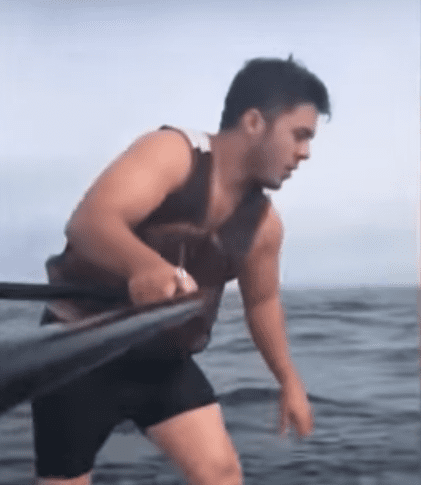 Nicholas posted a video of the whale rescue to his Instagram page, and it quickly went viral. 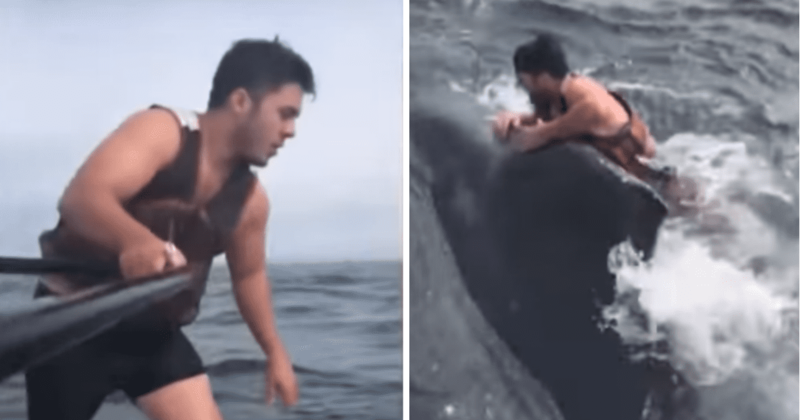 Everyone was amazed by the way Sam risked his life to save a whale in need. Inside Edition also posted the video on their YouTube page, where it received more than 200,000 views. Commenters were amazed by the fishermen’s brave action. Many commenters said the video brought a smile to their face. Other commenters said that the fishermen were true heroes. Sam and Nicholas did an amazing job rescuing this humpback whale who badly needed help. If you’d like to see the daring rescue in action, check out the video below.